It is probably the luxury tourist destination par excellence in Spain. Moreover, its brand new slogan, Marbella, a Five-Star Destination, plays with a double message: the condition of Marbella as the city with most five-star hotels in Andalusia and also the five segments that make up one of the best tourist offers in the world: nature, food, golf, beaches and luxury. An incredibly cosmopolitan city with more than 137 different nationalities living in a climate that continues to attract tourists from around the world: 32o days of sunshine a year are an irresistible proposal! A classy atmosphere (Marbella ranked in second place by turnover among Spanish luxury shopping destinations) that, during the Easter break, combines with one of the most popular and significant religious traditions among its population: the Holy Week. In the context of this cosmopolitan city, nine religious brotherhoods still survive (including Nueva Andalucía and San Pedro Alcantara), integrated into the Association of Holy Week Brotherhoods. As in the rest of Andalusia, Marbella is marked by the emotion of the Holy Week events, peppered with art and beauty. Highlights include the Holy Thursday and Friday processions, which can be complemented with a visit to the nearby city of Malaga, whose Holy Week processions are recognized worldwide. Although this year Easter is in March, the area’s climate makes it possible to enjoy its beaches. This climate is due to a unique geographical location, where the mountains around Marbella, Sierra Blanca and the Concha, visible from everywhere in the city, along with its cove-like coastline, act as a shelter against north winds. This is the reason why Marbella enjoys a special microclimate, unique in the world, which has become one of its biggest tourist attractions. A climate that allows, at this time of year, to have lunch at a restaurant on a sandy cove or to have a drink at an exclusive beach club… these are just a few suggestions to enjoy over 27.9 km of Marbella’s coastal line, considered to be among the best on the Costa del Sol. Its majestic beaches perfectly combine with the old town area, full of quaint, narrow streets to get lost. Here you will find the sixteenth-century Town Hall, perfectly preserved, the Ermita de Santiago, the first Christian church of the city, built in the fifteenth century, and the sixteenth-century Casa del Corregidor. Very close by you will find the Church of the Incarnation, built in the seventeenth century, the sixteenth-century Chapel of Saint John, which was once part of the village hospital, the Chapel of the Holy Christ of Vera Cruz, built in the sixteenth century, and the Bazan Hospital, which, since 1992, houses the Museum of Contemporary Spanish Engraving, first of its kind with a rich background of authors such as Picasso, Miro, Tapies, Chillida and many others. You may also visit the remains of the wall that surrounded the Muslim town and the Moorish Castle, where you can still see traces of Roman capitals that were extracted from other buildings and used in the construction of the walls. The Bonsai Museum, also very close by, is known as one of the best in Europe and it exhibits a magnificent collection of specimens is outlined as. The Cortijo Miraflores Cultural Centre, the Ralli Museum and the Municipal Archaeological Collection are also a very appropriate choice for a cultural visit. 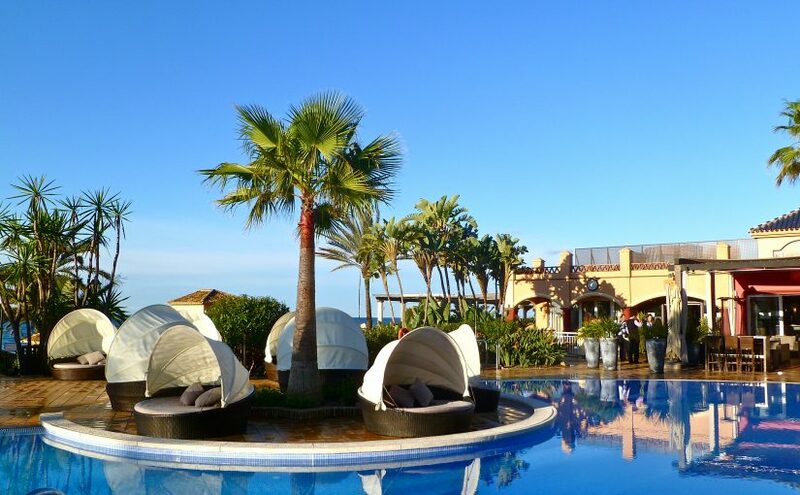 Would you like to spend your Easter break in Marbella? Marbella: Beach and religious feelings during your Easter break. Find out a different holidays in these city that will surprise you!